Kallah – It Was Grand! What do you call a problem when you can’t get everyone in the picture? 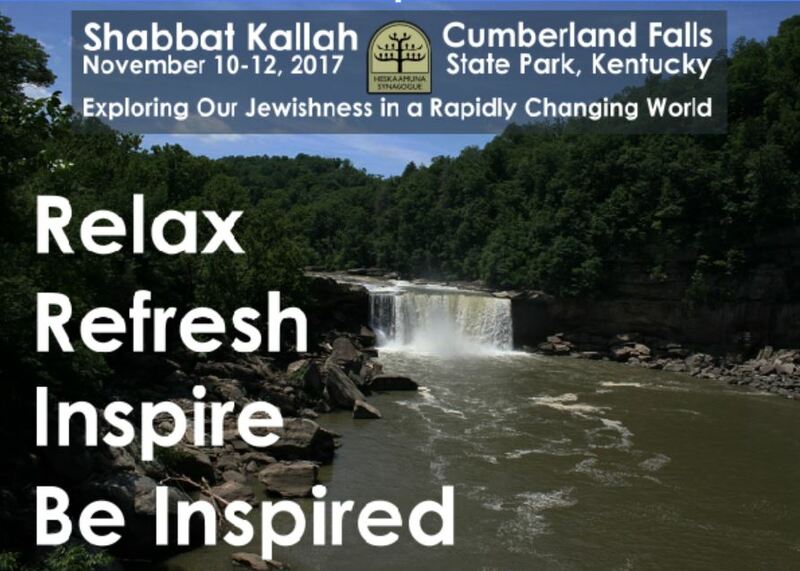 Thank you to everyone who made our Kallah at Cumberland Falls State Park such a great weekend – you, and you, and you! It was truly a magical weekend of community – special for the nature that surrounded us, the gifts we are to each other, and for the insights we shared. We certainly did relax, were refreshed, and were inspired. We certainly did spend time with old friends and happily made many new ones. Thank you to our outstanding organizing, program, and logistics committee members: Nancy Becker, Bernard Bendriem, Jeannie Bobroff, Rabbi Ferency, Betty Golub, Janet Gurwitch, Kim and Josh Hedrick, Barb Levin, Mary Ann Merrell, Rabbi Moskow, Jenifer Ohriner, Bella and David Wolitz – and to our official Kallah photographer Jack Benhayon! Check our online Shabbat weekend we will long remember. (And stay tuned for news on hat is next, too! ).